In 2010, the Village to Village Network – a national organization that collaborates to maximize the growth, impact and sustainability of individual Villages and the Village Movement – was formed. The Network provides expert guidance, resources and support to help communities establish and maintain their Villages. Visit the Village-to-Village Network website. The Village Movement California is a statewide coalition designed to provide leadership and leverage the power of the village movement throughout the state. The Movement plans to raise the profile of the villages through its branding and communications. 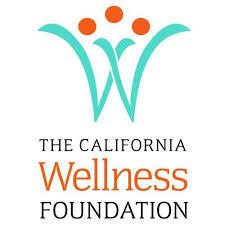 It also hopes to strengthen the collective impact of the villages in California, accelerate the growth of the statewide movement and ensure villages’ long-term sustainability. With generous support from the Archstone Foundation, 2017 marks the beginning of a three-year design and implementation phase for the Movement. The Movement is guided by a Leadership Team comprised of 14 representatives hailing from 11 villages across the state. The Bay Area Regional Village Organization, established to promote the Village Movement throughout the San Francisco Bay Area. Villages throughout the Bay Area meet on a quarterly basis to share ideas, provide support and promote the advancement of Villages. - Modeled After: WHO (The World Health Organization) Age-Friendly Cities and Communities. WHO requires cities assess themselves across 8 domains (see footnote ). - Affiliate: AARP is the North American affiliate that provides entry into the WHO network. 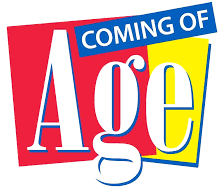 • Re-opening of the South Berkeley Senior Center will also be a time to announce our launch of the Age-Friendly Cities Project and induction into the WHO network. • A plan addressing priorities over the next 3 years is due November 17, 2017. • Continue meetings with the City of Berkeley's Commission on Aging and Health Commission. - Goal: to implement an integrated, replicable continuum of services and supports for older adults and people with disabilities as they navigate the transitions of aging. 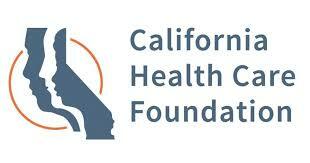 - Funding: Kaiser Permanente, Sutter Health/Alta Bates Summit Medical Center, City of Berkeley. 1. Assess Need: Build on existing assessments to-date; conduct a comprehensive needs assessment to consider resources, gaps and partners/potential partners. 2. Plan: Define the Continuum in detail – with 10-year vision and 3-year objectives – so that it can be governed, financed, and implemented in stages. 3. Develop Support: Develop support and approval for Phase II (3 year) Implementation Plan. - Status Update: In addition to to the background research and regular leadership team meetings, the Continuum has conducted several formal planning sessions with partners which has led to a first-draft of a 10-year “vision” for the services, supports, policies and activities needed to support an Age-Friendly Berkeley. The initiative is now defining next steps, projects, and activities needed in the first three years to move toward that vision. - Partners: Ashby Village, Kaiser Permanente Northern California, Sutter Health /Alta Bates Summit Medical Center, East Bay Region, Alameda County Health Care Services Agency, Northern California Presbyterian Homes and Services, Center for Independent Living, Inc. (CIL), Center for Elders Independence (CEI), Episcopal Senior Communities, Center for the Advanced Study of Aging Services, UC Berkeley, J. Sei.